Malhar is sleeping right now. So, I've tiptoed out of the room to write a post, while his grandparents stare lovingly at him. I might add that in his sleep, Malhar smiles and makes various expressions! Of them, his gummy grin and his pouts are the cutest. He also stretches a lot and wakes up accidentally because of that. And then he yells so that I run and lull him back to sleep. Who will make him understand that if he stretches so much, he is bound to wake up... And I think he snores, and even sometimes neighs like a horse!! Shakha Proshakha, made in 1990, is bang on target right from the very beginning. 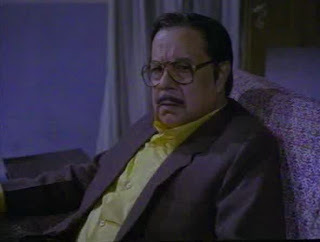 Ananda Majumdar (Ajit Banerjee) is a retired industrialist and a venerated man in society. On his 70th birthday he is shown to have a long conversation with his second son, Proshanto (Soumitra Chatterjee), who used to be a brilliant student with a bright future, before a cruel accident snatched away all his prospects. He is now a brain-dead 40-year-old who lives with his father and spends his waking hours listening to Western classical music and lamenting that while the world world is busy doing something worthwhile, he has nothing to do. But the big question is whether Proshanto is really demented? For, when his father tells him that he is supposed to go for a civic function in the evening where he will be honoured, Proshanto gives him a warning to be careful. In his words there is a sense of foreboding that something dangerous is about to happen. And Proshanto predicts correctly. During the function, Ananda Majumdar suffers from a cardiac arrest and medical attention is immediately called for. He is later seen under heavy supervision at his house as his state is rather critical. At this juncture, Majumdar's whole family converge in the ancestral home. 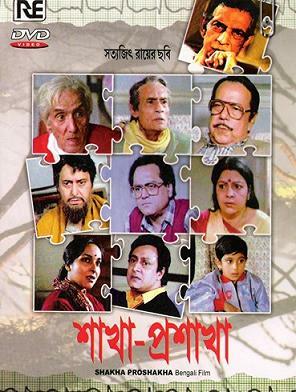 Probodh (Haradhan Banerjee) and Uma (Lily Chakraborty) are his eldest son and daughter-in-law, Probir (Dipankar Dey) and Tapati (Mamata Shankar) are the third son and daughter-in-law and Protap (Ranjit Mallik) is the fourth son. While everything looks smooth, apart from the father's sensitive health, nothing really is. Everyone has hidden issues. Probodh and Probir are successful businessmen. They live comfortable lives in the city. Something serious is niggling away at Protap and Tapati's mind. Uma is the prototype of the trophy wife who has done her duties always and never really has the courage to stand up against any wrong. She knows that her husband has used dishonest means to earn all the wealth, but she is the mute spectator. She is the typical old-fashioned housewife who has done all her household duties till date. Relations are also strained between Probir and Tapati. They have a little son (Kushal Chakraborty) but something is amiss between the husband and wife. A lack of trust and a breakdown in communication has been crippling their marriage for a long time. During the course of their stay in the house, we get to know that Probir is hardly as squeaky clean as he looks and that he suspects his wife of having an illicit relation with Protap! This suspicion is of course unfounded as Protap has a girlfriend who he wants to marry soon. Protap is also not happy about his current occupation and wants to be involved in the field of art, a line where success comes only after tedious toil. During a family picnic and a dinner conversation, the brothers (except Proshanto) lock horns over issues of honesty versus underhand means. We learn that while Ananda Majumdar, throughout his life, has walked the paths of morality, truth and hard work, the eldest and the third son used easy means to make money and they are hardly ashamed of this fact. They are not even bothered that their father is in his deathbed. They just want to escape this situation so that they can fill their coffers back in the city through insincere means. Ray's screenplay very subtly deals with the constant battle between elements of honesty and diligence and dishonesty and corruption. That crass commercialism and cut-throat fraudulence has seeped into every thread of society is hardly unknown. This reality is unraveled by Ray with a labyrinthine approach. Even though Proshanto is supposed to be mad, he is the only sensitive soul in the house with a heart. He may be devoid of all the principles of normalcy, but in the end his father claims that he is the true son. All the actors are stupendous in Shakha Proshakha and they are practically favourites of Ray. Haradhan Banerjee is awesome as the pragmatic but immoral businessman who is more bothered about his profits than his father's well being. Dipankar Dey is a revelation as the insecure and unfair husband. Ranjit Mallik is good as the youngest son who is struggling to find his feet. Lily Chakraborty and Mamata Shankar play their parts well. Ajit Banerjee is bit stilted but his role is suited to the purpose. I saw this film many years back. 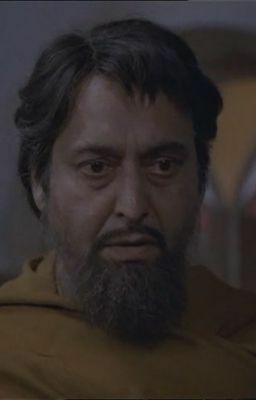 Soumitra Chatterjee's performance was particularly awesome. And so was the portrayal of all the tensions in the family. 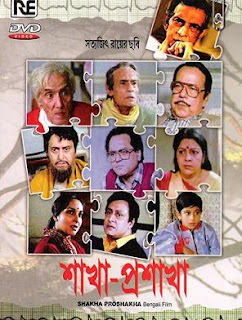 Soumitra Chatterjee is one of my favourite Bengali actors, and I can usually watch a Ray film - so, yes, this was truly a great film from the Master. It's time to revisit the film. I saw the movie with subtitles. 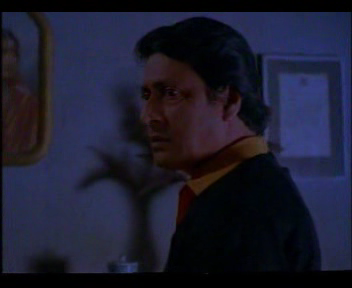 Theres this haunting music playing on the background by Prasanto when his father is ailing.Can you tell me - what music is that ? 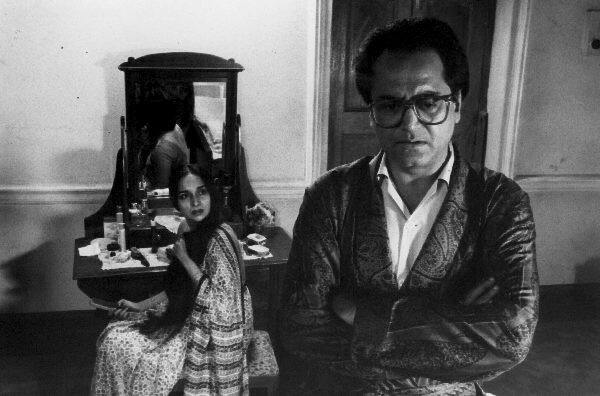 Sharmi, I depend on you to increase my knowledge of Bengali films in general, and Satyajit Ray in particular. I remember the phase when you reviewed a lot of Uttam Kumar films, amd made me a great fan of UK :-). I hope I can get this with subtitles - the biggest problem. Hi Sharmi, this sounds awesome! Thanks. Anyway I know I one day will end up watching ALL of Ray's movies, so I might as well watch that ASAP! @Yves: let me read it and get back!! @Roshmi: I bet. I can somewhat already feel it!! U write great. I have bcome fan of ur blog. This is the link of my new blog. If u want to follow,u are most welcome. the child actor in the film is not Kushal Chakrabarty. He is Soham, who started as a child actor and is one of the prominent faces in the Bengali film industry now. @Anonymous: Thanks for the correction. Saw it for the first time today. Ray was a serial genius. Mamta Shankar was the easiest character to relate to.